This beautiful Custom Gents Backup Prototype knife is from retired DEA agent Tim Wilson from Knoxville, TN Tim has been designing and creating custom knives since 1995. 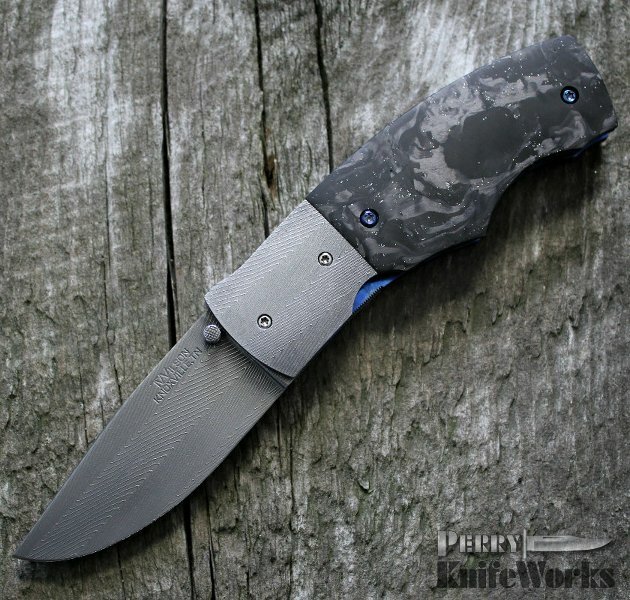 This knife features Rob Thomas Herringbone Damascus blade and bolsters, marbled carbon fiber handles and blue anodized liners. Just great fit and finish..